For all ground transportation in F.L.A. Leave the headache to us! This brand new, specialty vehicle is a hand-crafted replica of the original antique Hollywood eye-catcher. This Bentley is painted the pearl, Bentley white... there is not another with this exclusive color so it is truly one-of-a-kind. These vehicles are constructed with an extended profile to accommodate longer corporate rides where you can stretch your legs while conducting business as you travel. Let us add some sparkle to your night with our mood lighting, climate controlled air, moon roof, CD stereo system and lighted bar. They have all of the state-of-the-art amenities including flat screen TVs, Bose sound systems, video game capabilities and more. 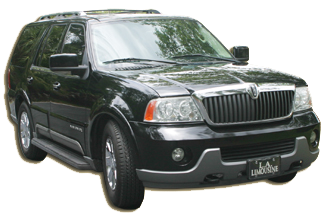 This vehicle features all black-on-black wood trim and will accommodate six passengers with all the comfort of a Lincoln Limousine so you can stretch out and enjoy the ride. Limo Special for your Wedding: book by the month and get an additional hour free, as well as 1 bottle of champagne for free! Naples Limo Specials: Limo pick-up and drop-off for dine out. This month only. Call 239-354-9199 for details. 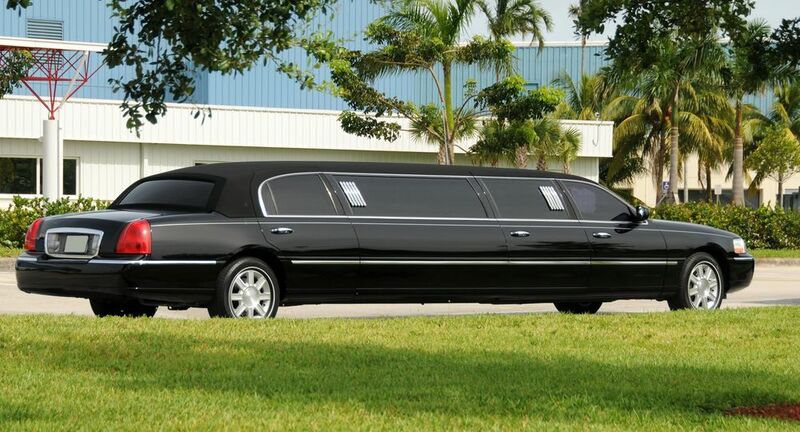 L.A. Limousine Services can cover the entire South Florida area with the best transportation services for any event. Choose to travel in luxury. 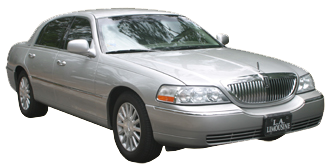 You will have professional, knowledgeable chauffeurs and travel in deluxe limousines. You will get the attention and personal service you have come to expect and enjoy. L.A. Limousine Services has been serving its customers for the last 15 years and is proud to be the oldest limo company in Naples. It seems that there are many people who try to save money by opting to use Ubers rather than using professional limo services in Naples FL. While the desire to save a few bucks is admirable, the true cost in the end could prove to be enormous. Let’s face it; everyone wants to ensure that they are safe so that they can get home to their loved ones. A person who uses an Uber simply has no clue what kind of person they are getting into the car with, and that’s quite risky. It’s akin to hitching a ride with a stranger, and paying them a few bucks for their gas. No one in their right mind should take that chance! Limo Services in Naples are safer than Ubers because the drivers are true professionals. 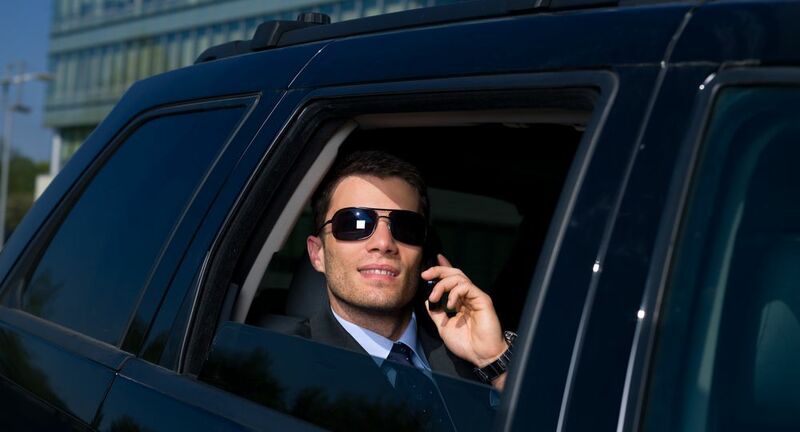 L.A. Limousine Services provide passengers with the peace of mind knowing they are riding with professional chauffeurs during all limo services in Naples. As always, a free car seat is included for children. Proprietors Anthony and Pamela Puccia are experienced business people with over twenty five years of customer service experience between them. Anthony started in Rochester, NY where he managed one of the first limousine services in the area. He catapulted Metro Limousine Service to be ranked as upstate New York's finest limousine service based on their customer service and superb vehicle maintenance. Additionally, Anthony was a key player in the introduction of the first Super stretches. Anthony went on to opening up the Mitsubishi dealership in Rochester and received several awards as the top account executive in the area. In the early 90's he once again surpassed his colleagues in sales in the largest Lexus dealership in Atlanta, GA. His perfect sales record allowed him to migrate into the real estate arena selling for a private developer in Naples, FL where he oversaw management and sales for new coach homes. Needless to say, Anthony was ranked as the top sales person for five years in a row. In 1998 he decided to utilize his expertise in sales and customer service in his own business venture and on September 1, 1998, L. A. Limousine Service opened its Naples limo doors and the rest is history! Pamela graduated from Brockport University with a degree in Broadcast Journalism and a minor in International Business Administration. She started off her career in New York as an Account Executive for the local radio station WISH 95 FM. Her sales and communications abilities quickly moved her up and into the other side of the business. In 1990 she became an assistant media director with Resnick Media where she quickly learned the difficult job of building media campaigns for their advertising clients. By 1992, Pamela was the media director for Admax. She was involved in taking this company public and onto the NASDAQ market and in 1993 Pamela helped relocate the company's operations to Atlanta, GA. Pamela was media director where she orchestrated campaigns from medium to large companies in every market from Los Angeles, CA to Roanoke, VA. She successfully negotiated with ABC, CBS, and NBC on a daily basis for her clients. In 1994, Pamela and Anthony had their first child and she decided to give up her briefcase for a diaper bag. For the next five years she devoted herself to her two children and her husband. In 1998, Pamela joined Anthony as as a business partner in L. A. Limousine Service, Inc. Both Anthony and Pamela have a strong sense of family and that carried over as the basic premise upon which L. A. Limousine Service was founded. Ninety percent of their business is from regular, steady clients who are treated like, and feel like family, and it is of the utmost importance to both Anthony and Pamela that all of their clients feel this way. Whether you are a full time resident, part time resident, or simply someone on vacation in beautiful Naples, it is one of the most wonderful places in the world to have a wedding. There are so many venues available that even the most finicky bride and groom will surely be able to find the perfect spot for their blissful nuptials. From sandy beach weddings and Everglades flora weddings, to golf course venues and high-end restaurants; Naples has it all! Of course, it will take some time to explore the pros and cons of every venue before making your final decision. The one thing that many soon to be wed couples forget to book early is their transportation for the wedding. As silly as it sounds, they seem to think that they can reserve a luxury limo a week or so before their special day. Many find themselves disappointed and wishing they booked earlier. It’s essential to do so at least 6 to 8 weeks prior to the events. L.A. Limousine Services is experienced handling wedding transportation in Naples and the surrounding cities. Call us today to ask for our specials! In the vast majority of high schools, the week of homecoming is a way to welcome the students back to school, and recognize that this is the final year the seniors will be attending the school. It is also a time that the school honors and showcases their athletes, especially football players. Generally, the week begins with assemblies, fun programs, sporting events, and the week culminates with a special homecoming dance for the seniors. The kids have been looking forward to the homecoming dance for years, since it is only for seniors, their dates, and those invited by special invitation. It’s a really big deal for the seniors, and they expect to have an incredible time at the dance. Oftentimes, some of the seniors will have some alcohol stashed in their vehicles for enjoyment after the homecoming dance. This could prove to be deadly for the students. Wise parents opt to hire limos for the special occasion. It just makes sense to err on the side of caution. LA Limousines offers luxury homecoming limos for seniors in Marco Island and throughout Collier County. One of the most important weeks in the lives of high school seniors is the week of homecoming. This is generally the first of many firsts that are meant to make a senior high school student feel special in their final year of school. With a full week of celebrations and athletic events, usually football games considering homecoming takes place in the fall, the week ends with a very special homecoming dance in the school’s gymnasium. While many people think that homecoming and prom are the same thing, they certainly are not. The prom is a much more formal event. Homecoming is less formal and more relaxed and laid back. Nevertheless, the homecoming dance is still a big deal for high school students. Loads of students experiment with alcohol during this final year of school, so keeping them safe on the roads is of the utmost importance. Unless you plan to drive your child yourself, you might want to consider using a Bonita Springs limousine company for transportation. LA Limousine Services offers professional drivers and luxury homecoming limos in Bonita Springs and the surrounding communities. There are a plethora of wonderful dining options in Naples available to residents and visitors alike. From traditional Italian dishes and authentic Asian fare, to innovative gourmet foods and everything in between, there will certainly be something that will tantalize the taste buds of the most finicky food critic. The only big downfall of enjoying a night out and going to dinner in Naples is the fact that most of the finer restaurants either have tiny parking areas or on street parking. This can cause major issues when you’re trying to park your vehicle. It can be even more brutal to find parking if you are meeting a group of friends for dinner. Parking is at a premium, especially if you plan to dine anywhere downtown or on 5th Avenue. It would be a much more enjoyable evening if you hire a dining limo in Naples. They will provide you with limo service from your home to the restaurant, and bring you back home again. There will be no need to struggle to find parking spaces, or walking several blocks in high heels. L.A. Limousine Services offers the most reliable dining limo in Naples and the surrounding areas. The one thing that each and every high school student looks forward to attending is the coveted senior prom. This anticipation increases with each new school year, until it is finally the year for that particular student to attend the celebration. The teens begin to make plans for the special day the minute they walk through the doors in their senior year. It’s a big deal, and they have been waiting for Prom all of their high school careers. The prom is a wonderful reward for all of the students’ hard work and dedication to completing school from kindergarten throughout their senior year. Since the school is rewarding them, it would be very nice for a student’s parents to hire a limo service for transportation to go to and from the prom in style. LA Limousine Services provides high quality prom limousines in Marco Island and the surrounding cities. The prom is always one of the most momentous occasions in the life of a high school senior, regardless of the type of community in which they live. Generally, students start making plans for this formal dance from the second they walk through the doors of the school for their senior year. The girls can usually be found pouring over magazines such as Seventeen, Prom Girl, Teen Vogue, and Cosmo Teen in hopes of finding the most incredible prom gown ever! For the most part, the guys really couldn’t care less about the tuxedo and all of the fancy trimmings and trappings. They look forward to the after-prom parties, and besides, the girls usually tell them what they’re going to wear anyway. With that being said, the one thing that the boy always has to handle is the transportation to and from the prom venue. This is solely his responsibility, and impressing the date and her parents is important. A cool limousine or other high end vehicle would certainly make an awesome impression. LA Limousine Services offers luxurious limousines for prom night rentals in Naples, and throughout Collier County. One of the most exciting things a high school senior experiences is the much-anticipated prom. The senior prom is like an incredible reward for those students who stuck it out to ensure that they graduated from high school on time. It’s a very important part of any student’s high school career. Although teen boys look forward to it, teen girls begin to plan for the prom at the very beginning of their senior year. More often than not, they spend hours and hours looking through websites offering prom dresses, accessories, shoes, and the like. They also spend a lot of time looking at YouTube videos to find the best way to do their makeup, or the coolest hair style for the evening. They will find the “perfect” thing, only to change their minds a few days later. 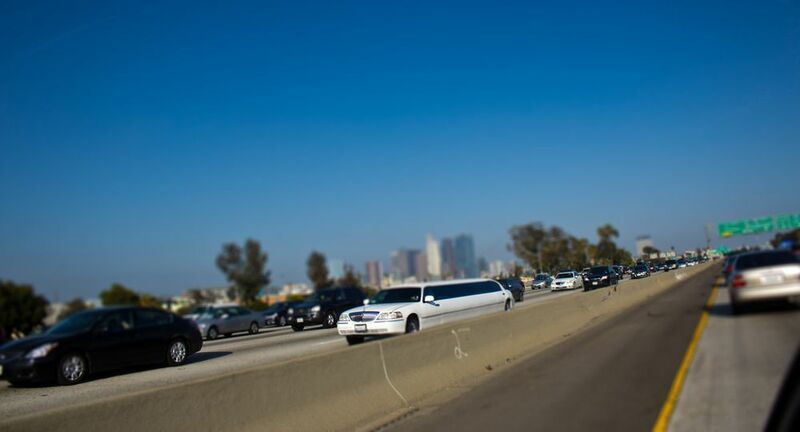 Considering the amount of money that parents will be spending on dresses, it would be wise to consider hiring a transportation company for prom night. This will ensure that the expensive dress doesn’t get damaged cramming into the boyfriend’s car. LA Limousine Services offers top of the line prom transportation in Bonita Springs and the surrounding cities. It is quite common for every high school senior to start looking ahead toward prom night in the very beginning of their final year of school. There are loads of preparations to make and oftentimes, the teens’ dress selections, or tuxedo colors change at the drop of a hat. This is very normal, as prom is really the first huge stepping stone in the teen moving toward adulthood. They want prom night to be a perfect as humanly possible, so as a parent, you will need to guide them along to ensure they have gotten everything selected, purchased and reserved that is on the all-important checklist. Teens tend to leave things until the very last minute and as adults, we know things need to be planned and taken care of well in advance of that special evening. One of the things that people tend to forget to reserve is their luxury transportation services for the dinner dance. 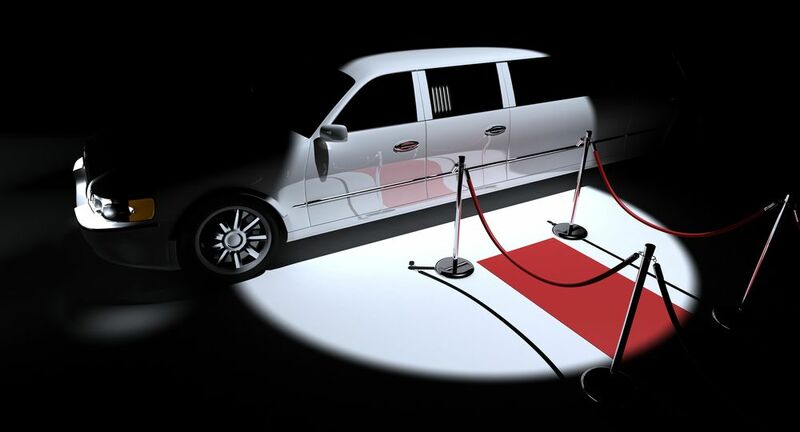 Reserving early will ensure that you are getting the limo that your child really wants. LA Limousine Services offers luxury prom limo transportation in Estero and throughout Lee County. Luxury sedan royal brings outstanding comfort, leather interior, tinted windows and a smooth ride all combine to create a driving experience that is truly first class. This is Southwest Florida's most popular wedding limousine as most brides and grooms want their wedding photographs and videos with images and footage of them driving off in this gorgeous limousine. Copyright © 2019. L.A. Limousine Services.